We all know that our mums mean the world to us, but how often do we let them know? This is the perfect way. Narrow it down to the 10 most important reasons that you love your Mum, maybe she makes you a killer bacon sandwich or you have a memory that you want to never fade, let Mum know that you haven't forgotten! 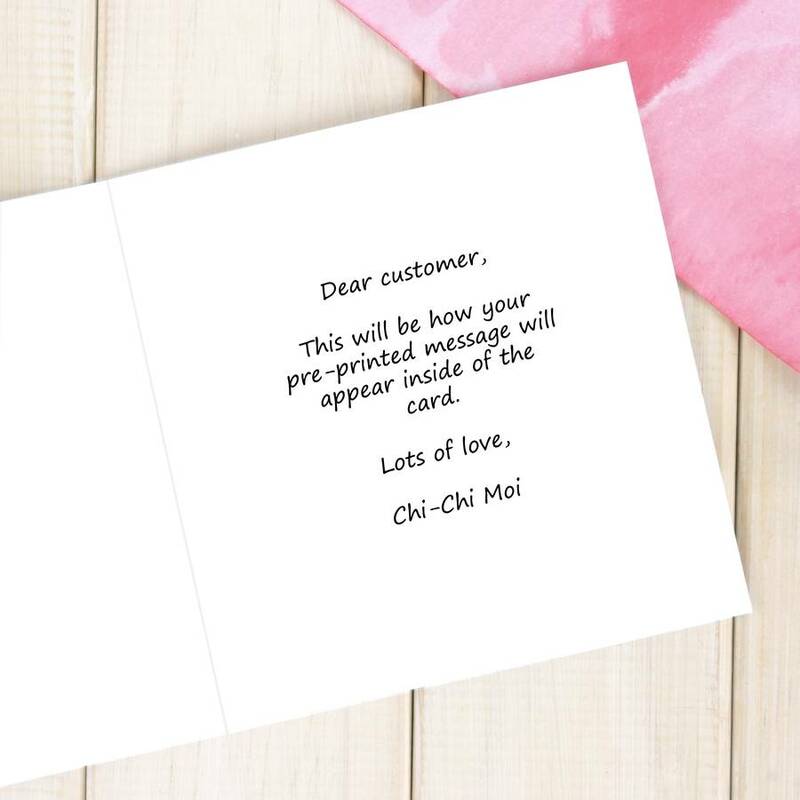 We will then print your 10 things onto individually numbered notelets and pop them in the mini envelope on the front of the card. Won't be seeing them on their Birthday? We can send your card direct! Just select the 'Direct to Recipient' option and fill in the field below with the message you would like included in your card. Choose from Fuchsia Pink or Lilac envelope.